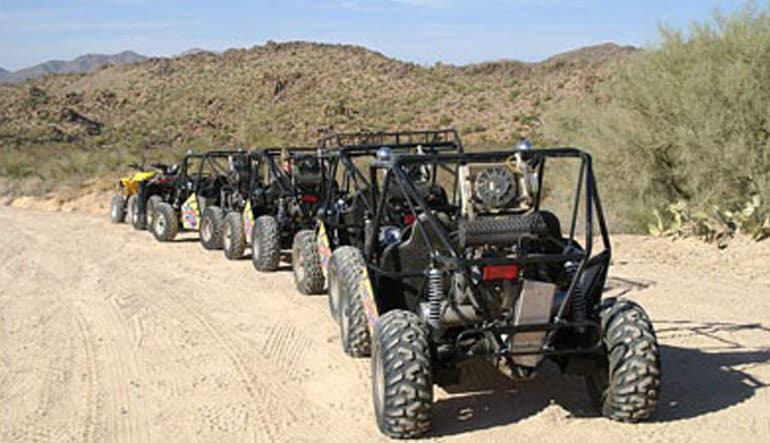 Rev your engines for an amazing desert adventure on this Phoenix area C2 desert buggy drive! Hit the trails for 2 hours of adrenaline filled fun. 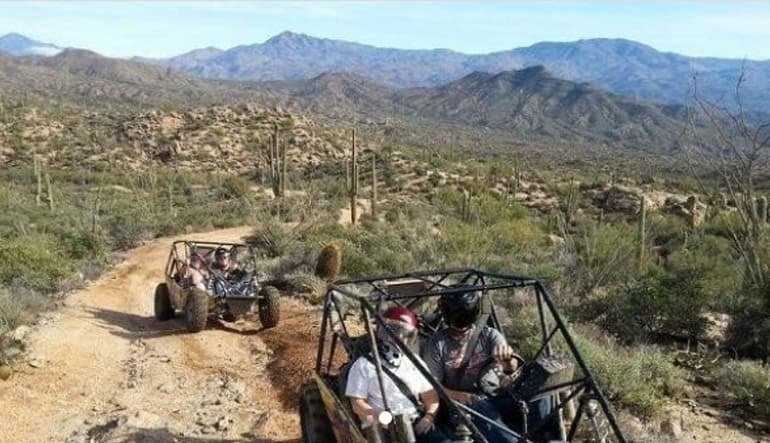 Rev your engines for an amazing desert adventure on this Phoenix area C2 desert buggy drive! Hit the trails for 2 hours of adrenaline filled fun. 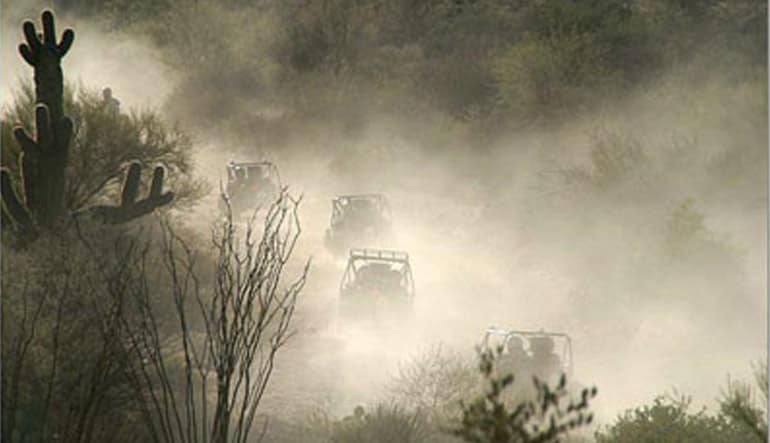 This is no mere ride along tour, this is you at the wheel of your own off-roading machine. 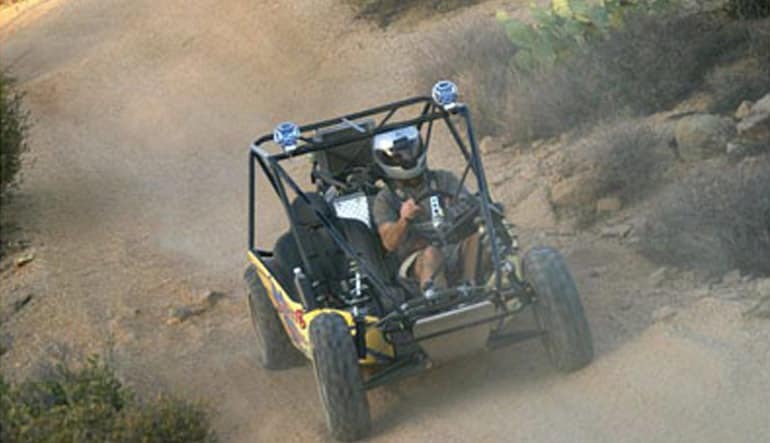 The C2 is a unique dune buggy design a cut above the rest. Specifically manufactured for desert adventures, the C2 two seat desert car is fully automatic for ease of handling and equipped with all of the best safety features. After a brief overview of vehicle specs, handling instruction, safety procedures, and terrain expectations, you’ll climb in and hit the trails with your pro guide. 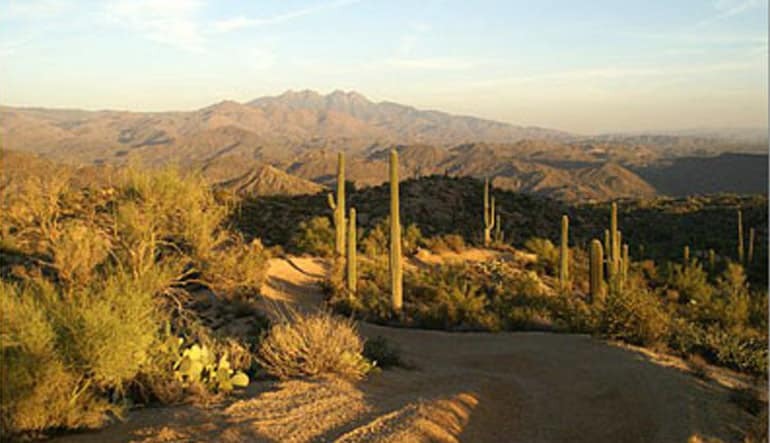 They’ll lead you through miles of scenic desert landscape over a mix of basic and moderate off-road trails, washes, and ridgelines. You’ll encounter a variety of terrain on your drive including steep inclines, declines, and rocky riverbeds. Along the way, your guide will point out interesting sights and landmarks as well as provide background on the area and even a history of the land. This drive is truly the perfect balance between easy sightseeing and adrenaline pumping action. Get ready for a great day in the desert. Book today! 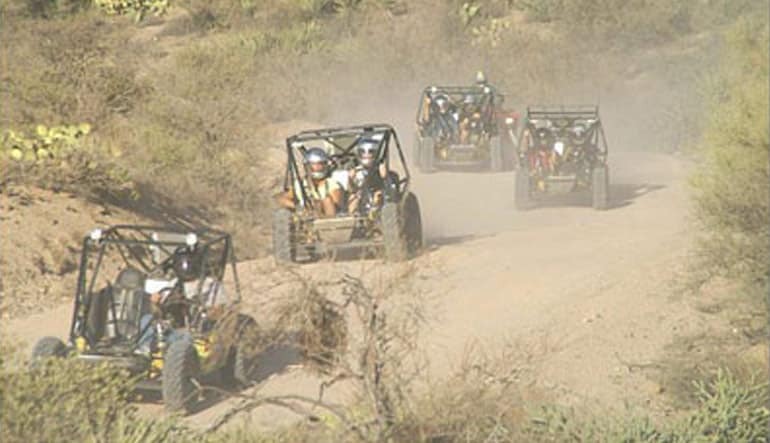 2 hour C2 dune buggy drive for up to two participants YOU DRIVE!